Scrooge video slots is based on the well-known book written by Charles Dickens: “A Christmas Carol”. It captures the true essence of Christmas and introduces players to the vivacious characters from the book. The main characters in “A Christmas Carol” also grace the reels of this incredible slots machine. They are “Stiff upper lip” Ebenezer Scrooge, his long departed friend’s spirit Jacob Marley, Tiny Tim and spirits from bygone Christmases, present and future. Scrooge is a 5 reel, 50 payline non-progressive slots machine. 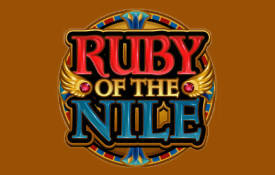 It’s laced with scatters, free spins, a multiplier and offers a total jackpot payout of $30,000. The wild symbol is the “Scrooge Logo” and the scatter symbol is the “Door Knocker”. Additional symbols that feature across the reels are a Safe, Money bag, Ledger, Clock and Keys. Before I continue I’d just like to give you a brief overview of the characters that feature in this slot game. Let’s start with bad-tempered Scrooge who is holding a candlestick. Struggling to get rid of his chains is Marley. A defining moment in this slots machine is when the characters in the free spins round are imbued with the warmth and ambience of Christmas. Each character holds a particular symbol that is associated with Christmas. Scrooge is a miser, as a substitute for his candle he has coins. A glass of wine is held by Marley. You’ll also note that the music changes at regular intervals. However, it becomes more animated once the free spins round is triggered. The game offers a number of betting options. Since Scrooge video slots has 50 paylines it increases your winning chances significantly. Coin sizes vary from 0.01 to 0.50, the amount of coins range from 1 to 10. The maximum bet per spin is 250 coins. Players who are by nature high-rollers will like this slots machine. Scatter payouts ensue when there’s three or more scatter symbols. The bonus game (Christmas Dinner Bonus) is triggered on the second screen. 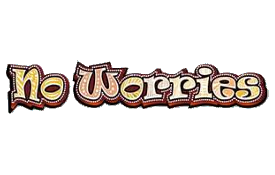 When three or more Door Knocker symbols appear on the screen a door opens showing the first Scrooge, Marley’s ghosts and the three X-masses. Screen two shows a Christmas dinner table where the five of them are seated with five plates in front each. You must drag and drop a specific dish in front of the five characters. 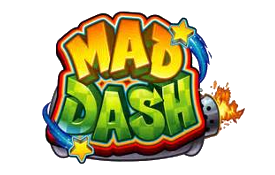 The first game which indicates one character is lighted up and the payout triggers the bet time plus the multiplier matching the dish that character is eating. 10,000 coins is the total payout in this segment of the game. The Free Spins feature is activated in an ingenious way. If there is a winning grouping the player must pick any of the symbols from that grouping. 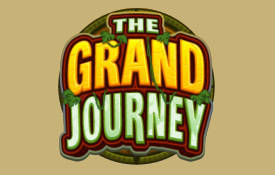 The symbol that has been selected by the player arbitrarily adds one future free spin to the counter or slots in an additional day to the calendar’s countdown. If the date in the calendar is December 25th, it triggers the Free Spins Feature which indicates the amount of free spins in the counter. While the free spins are active double payouts will ensue. Unfortunately the free spins cannot be re-triggered. The maximum bet the total payout is 120,000 coins. 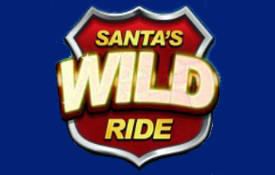 The Scrooge Logo offers an additional Christmas prize. It aids in doubling a player’s pay out and assists in various winning combinations. If you manage to hit this symbol, gold and silver coins feature across the reels. The biggest fixed jackpot is “The Scrooge Logo”. In summary. 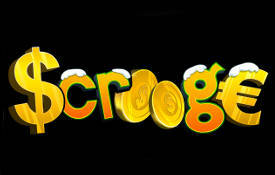 Scrooge video slots not only offers a Christmas Carol theme but is suitable for high and medium rollers too. Although it offers a handsome jackpot it’s just a pity that the free spins feature cannot be re-trigged. Otherwise highly recommended. We recommend you play Scrooge at these Microgaming Casinos.